My special guest today is Matt Batzel, national executive director of American Majority. Matt has been heavily involved in political activism in his home state of Wisconsin for many years now. He has a lot of information how to successfully do grassroots political activism in today’s culture and society that he is going to share with us! Whether you are a political activist, the leader of a political organization, or a candidate running for local office, Matt has some great tips for you today on how to make an impact in your area. He is going to share with us the exciting things that have been happening in Wisconsin over the last five years and give you tips on how you can help bring real change to your community. Matt Batzel is American Majority’s National Executive Director. 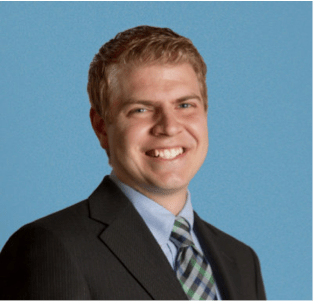 Five years ago, Matt opened up the Wisconsin chapter of American Majority and he has trained 128 winning new leaders at the state and local level, held over 170 trainings, and trained more than 5,500 individuals. During the height of the 2011 union protests in Madison, Matt organized the American Majority “I Stand with Walker” rally, gathering more than 10,000 patriots to show the nation their support for public-sector-union reforms. Prior to both Wisconsin recall elections in 2011 and 2012, Matt executed training blitzes to show hundreds of activists how to assist candidates at locations across Wisconsin. Recognizing the opportunities to mobilize grassroots conservatives online, he has also deployed a massive online army through co-creating a Twitter hashtag – #Wiright. 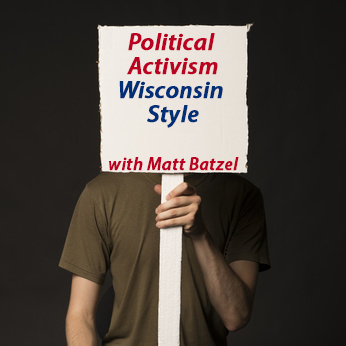 Matt is regularly asked for his commentary on the conservative grassroots pulse in Wisconsin, appearing on national television like Fox News’ “Justice with Judge Jeanine” and on radio like WTMJ-620AM and Wisconsin Public Radio. He has been quoted in numerous print publications, from Washington Post and POLITICO to Chicago Tribune and The Boston Globe, as well as online publications, including NYTimes.com, Reuters.com, and Time.com. Prior to joining American Majority, Matt gained experience at the state and federal levels, including all three branches of the federal government. Matt earned his B.A. in Government from Franklin & Marshall College and his law degree from the University of Kansas School of Law. This entry was posted in Podcasts and tagged American Majority, local politics, political activism. Bookmark the permalink.